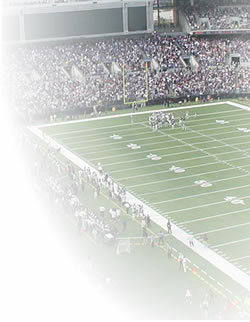 TGF will be hosting a free to enter NFL Confidence Pool contest. All that is required to enter is that you have a Min of 250 post at TGF prior to start of contest. If you want in, please post so in this thread. What is an NFL Confidence Pool? Picks are made "straight up", not using a point spread system. 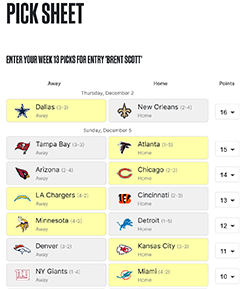 Each pool member picks every NFL game for the week. In addition to picking the winning team, members must rank how confident they are that the team they picked will win. The more points assigned to a pick, the more confident they are that team will win. For each correct pick, they receive the number of points they assigned to that pick. Standings are calculated for the week and for the year-to-date. I wish TGF would give away something to the posters. A measly G. Is that all? You doing anything like Sportsoptions 3000 contest last year? Very nice offer Boat and TGF. I'd like to be entered in this one. It Is. What It Is.